 Here, at the Chabad Jewish Center, we pride ourselves on creating a "home away from home" for Jewish students at the Kennesaw State University. We open our home weekly to hundreds of students, welcoming them with the warmth of family. We strive to create meaningful relationships with a broad spectrum of students. Our diverse and dynamic programming attract hundreds of Jewish students from a variety of backgrounds. We are proud to say that we are able to reach many under-involved Jewish students and inspire a positive connection to Judaism and Israel. Our Student Board helps empower students for leadership roles and responsibilities in the campus community and society-at-large. We are committed to helping students explore and optimize their leadership potential by offering students project leadership and meaningful responsibility. We understand that as a parent, there can be many worrisome moments while your child is away at college. That's why we want you to know that we're here. Feel free to contact us, introduce yourselves and let us know what's on your mind. We'll be glad to assist in any way possible.